Our user guide should answer most queries that you have about Essential Assessment. Feel free to send us a question. Use our booking page to book a Professional Development Session for your school. Our professional development sessions are currently available for our Victorian subscribed schools and provide opportunity for Essential Assessment to visit your school to provide an on-site training professional development for all staff members. Each session provides schools with an overview of our assessment and curriculum model, assists classroom teachers in learning how to provide Essential Assessment differentiated curriculum for individual students or groups and assists school leaders in using Essential Assessment data to help plan long term student success strategies. Or give us a call to speak with our educational consultants. Essential Assessment is a leading provider of a unique Australian Curriculum, Victorian Curriculum and NSW Syllabus numeracy and literacy assessment and curriculum model that delivers a whole school approach to formative and summative assessment for Australian schools. We provide each school access to our online assessment program, My Numeracy activities, hundreds of Australian Curriculum, Victorian Curriculum and NSW Syllabus assessments, personalised and differentiated learning plans and an endless supply of Australian Curriculum, Victorian Curriculum and NSW Syllabus worksheets. 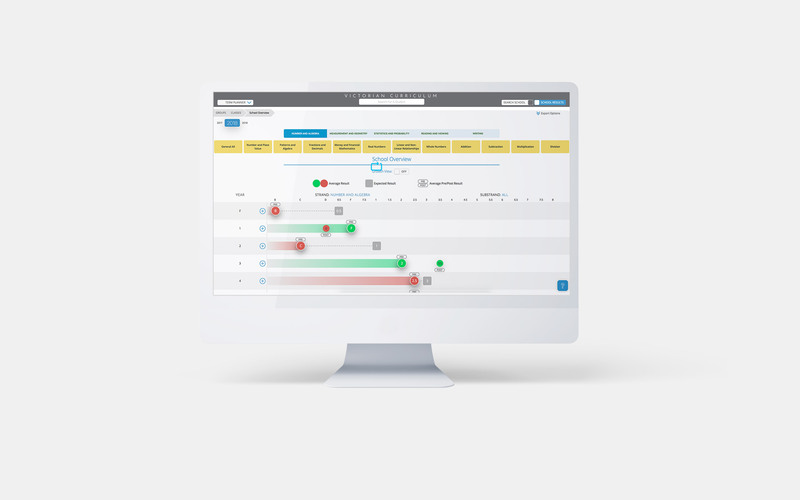 A smart and differentiated online assessment and curriculum model that diagnostically assesses each student and provides them with aligned curriculum to grow each students’ knowledge from their current understanding. We are a trusted assessment and curriculum partner with over 1000 satisfied schools around Australia using Essential Assessment! Essential Assessment has revolutionised our teaching practice. Everything we do everyday is at a point of need as a result the Essential Assessment model. Being the Numeracy leader, I have shown my colleagues how to use Essential Assessment to guide their practice. The Casey Central Numeracy Network also saw the amazing potential in Essential Assessment when I presented it to our network. Jordan Warren - Numeracy Leader, Victoria. We have been utilising Essential Assessment to assist us to differentiate our classroom learning for two years. The detailed information that the program provides us on each of our students individual progress and development is invaluable. Being directly linked to the new Australian Curriculum, Essential Assessment is tailored specifically towards the content we are covering on a daily basis and the online component of the program allows our students to gain immediate feedback on their understanding and growth. Essential Assessment is a fantastic addition to our classrooms! We have used Essential Assessment for the past two years and have found the assessment and curriculum model a breeze to implement and deliver. Classroom differentiation is no longer an issue, thank you, Essential Assessment! Jordan Ancrum - Assistant Principal, Maiden Gully Primary School. We have found the Essential Assessment for Numeracy to be very useful in supporting the planning of our F-7 maths curriculum. The use of Victorian Curriculum aligned Formative and Summative Assessments have allowed our teachers to assess and monitor student progress and help plan for differentiated learning needs. The organisation and structure of the website is easy to use and our teachers quickly became familiar with how to navigate the site. Lisia Halton, Leading Teacher – Maths, Roxburgh Rise Primary School. The Essential Assessment model has provided many Numeracy and Literacy benefits to my 5/6 class. The model is easy to administer and provided me with accurate and consistent assessment and the best part, it provided me with differentiated curriculum for each student! Essential Assessment is a great resource used by our staff and students. Teacher love knowing the level and seeing the growth of their students without the hassle of any excess data entry and manipulation. Ready To Purchase A Subscription? Learn more about our subscription plans to understand which best suits your goals. Essential Assessment is the leading provider of a Australian Curriculum, Victorian Curriculum and NSW Syllabus numeracy and literacy assessment and curriculum model that delivers a whole school approach to summative and formative assessment for Australian schools. Essential Assessment was established out of the increased need for consistency in reporting practices and curriculum development within Australian schools. Our online assessment program allows teachers to pre-assess students within each strand or sub-strand of the Australian Curriculum, Victorian Curriculum or NSW Syllabus. 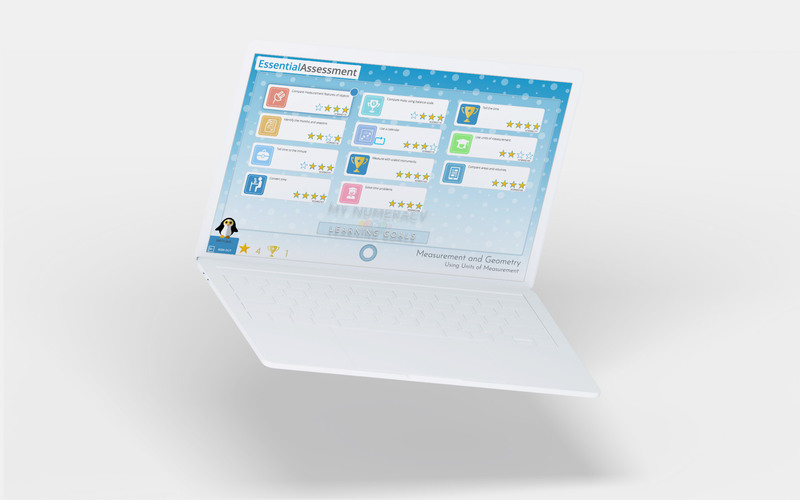 Student results are automatically compiled, advising the teacher of each student’s current achievement level and analysis of the achievement standards that has been understood and misunderstood for each student, group and class. 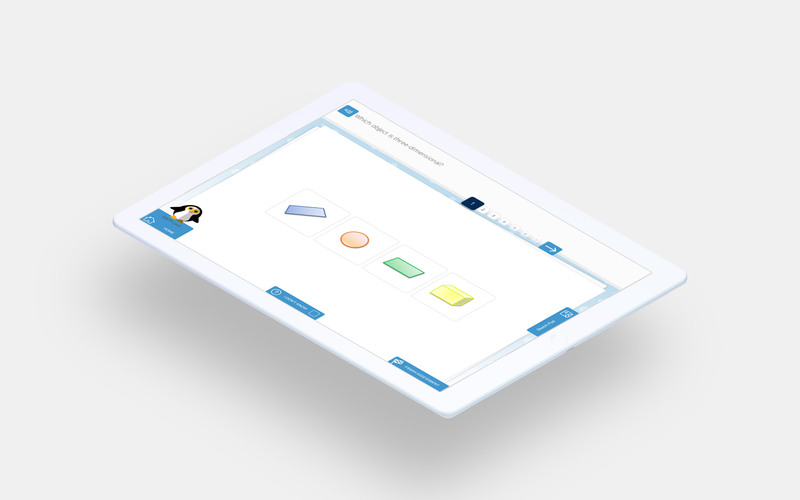 We differentiate the curriculum within each sub-strand based on each assessment result and create a tailored paper-based and online curriculum (My Numeracy) for each student, group or class. My Numeracy acts as a formative assessment model with an interactive teaching and learning function that enables students to progress through the four proficiency strands of each content description of the curriculum. Post-assessment identifies each student’s new Australian Curriculum achievement level, Victorian Curriculum achievement level or NSW Common Grade, demonstrating the growth achieved by each student. Continued analysis of class and cohort data within each strand and sub-strand is provided along with guidance on the developed and potential Numeracy and Literacy progressions within each sub-element. Each assessment, curriculum activity and curriculum document has been carefully prepared adhering to the Australian Curriculum, Victorian Curriculum and the NSW Syllabus with the model emphasising student growth through achievement. An affordable yearly subscription to Essential Assessment enables access to our online numeracy assessment program, My Numeracy (online maths activities), Sunset Maths (mental maths application) and accessed to our paper-based learning plans and curriculum resources from F-10A.